Research Interests Political theory, geopolitics, and international trade. 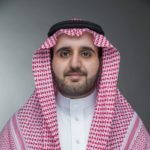 Saleh is a senior research analyst in the Policy and Decision Science program. His interests lie in geopolitical research, international agreements and international trade. Saleh holds a master’s degree in international commerce and policy from George Mason University and a B.S. degree in economics from Pennsylvania State University. OPEC oil production data is a key to understanding not just global energy balances but also the international oil market. Historically, most OPEC oil production figures are opaque as governments either consider them to be confidential and do not publish the data or publish numbers that many analysts consider to be unreliable. The OPEC Secretariat publishes production data on the basis of estimates produced by ‘secondary sources.’ These include S&P Global Platts, Argus Media, Energy Intelligence Group, IHS-Markit, the Energy Information Administration (EIA) and the International Energy Agency (IEA). Even though the OPEC Secretariat makes it clear that its data comes from such secondary sources, its production figures are often mistaken as primary data. 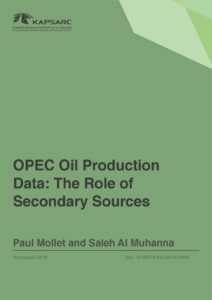 Key insights Secondary sources play a critical function in collating OPEC oil production data that is widely used by international oil markets and by the OPEC Secretariat itself. The methodology used by these data providers to collect oil production data varies little between organizations and includes a mix of confidential sources, government statistics, shipping and port data, and tanker tracking information. The robustness of data published by secondary sources varies by country and secondary source, with production from some OPEC countries such as Iran particularly opaque. Tanker tracking techniques using Automatic Identification System monitoring and satellite imagery are still in their infancy and do not provide sufficiently robust data to give an alternative to secondary sources. Although much of the data secondary sources collate is unverifiable, there are currently no alternative sources or methodologies that are more robust. The European Union (EU) is facing a critical period as the European Commission draws up a 2050 climate strategy roadmap that is likely to form the basis for the EU’s next nationally determined contribution to the COP21 Paris Agreement. Until recently, the UK was the undisputed leader of the coalition of EU member states (the Green Growth Group) seeking more ambitious climate targets. Brexit, however, is likely to put an end to the UK-driven focus on market instruments to achieve climate targets. 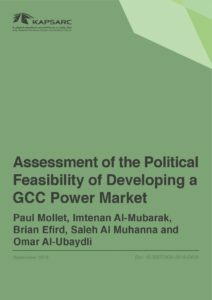 Instead, the Commission is now likely to turn to policies prioritizing emissions and energy targets. Key insights: The United Kingdom (UK) exit (Brexit) from the European Union (EU) is likely to strengthen the resolve of the EU to maintain global leadership at the Conference of Parties (COP). 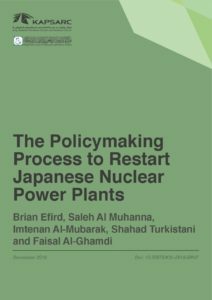 Brexit is likely to contribute a changed approach toward climate policy from a focus on market instruments to policy targets. A struggle has emerged for leadership within the Green Growth Group, with many coalition members seeking more ambitious climate targets. Despite some changes in governments, the national climate position of EU member states remains stable. Poland, perhaps supported by other coal-dependent countries, is likely to remain an obstacle to more ambitious EU climate targets.